Interest in ones family roots has always been a popular pastime, but recent television programmes and the rise of genealogy on the internet has made the process of finding out about our past easier and relatively less expensive than in previous generations. The knowledge that anyone can trace their roots and that each one of us has a family story to tell (it is not just for the rich and famous or infamous) has meant that genealogy has been opened up to everyone and is something for all ages and backgrounds. Recognising that we all have a story to tell, the Ulster Historical Foundation, funded by the Department of Arts, Culture and Leisure through its Renewing Communities programme, has organised and run a series of workshops aimed at local communities and individuals to help them find out more about their family, local or community histories. The scheme, titled ‘My Roots’, proved most successful with workshops on topics such as, ‘Getting Started in Genealogy’, Church Records, Civil Registration, Census Records and ‘Using the Internet for Genealogy’. Each participant in the workshops received our information pack which included the popular booklet, My Roots – Tracing your Belfast Ancestors written by our Research Director, William Roulston. 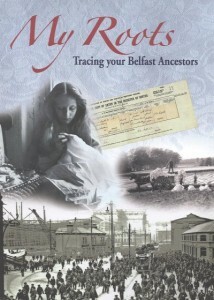 The series of lectures were taken by our experienced team of researchers and were held in local libraries or community halls with a visit to the Public Record Office of Northern Ireland (PRONI) in Belfast as the highlight of the series of three workshops; in some cases where a trip to Belfast was not feasible, a visit to the area’s local history library was arranged. Feedback on the workshops was extremely positive, especially in regard to the visit to PRONI which most of the participants had never visited before. With our help and guidance the participants were enrolled with PRONI and given an overview of the premises and its holdings; many were able to access census, church and land records on this first visit with varying results. Those who didn’t find much information on the first go were at least happy with getting ‘the feel of the place’ and recognising that the archives weren’t as intimidating as they had first thought. The community groups who benefited from the ‘My Roots’ workshops included Tullycarnet, Rathcoole, Ballyclare, Greenisland, Glengormley, Carrickfergus, Lisburn, Finaghy and Rathfriland, all in the counties Down and Antrim. It is hoped that the scheme can be developed in the future to include more local communities as well as expand to other counties.